Today we had the great plan to make hamburgers. Oh how glorious it would be as we started up the grill and, in the early month of April, enjoyed our first burgers of the season. First, we needed to stop in at the Macy's in Stamford because Jen thought this would be a good idea despite my cries of protest. When we got to Macy's I was struck with the architecture. I'd seen this place somewhere before. 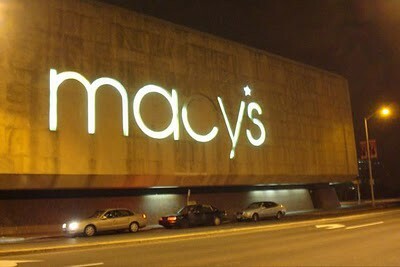 Unfortunately this particular Macy's was no Sandcrawler. 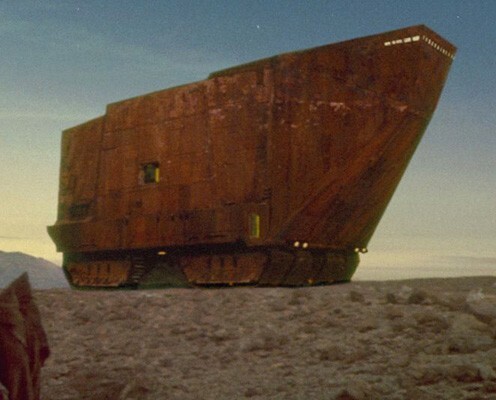 It could have benefited from the merchandizing prowess of the Jawas. 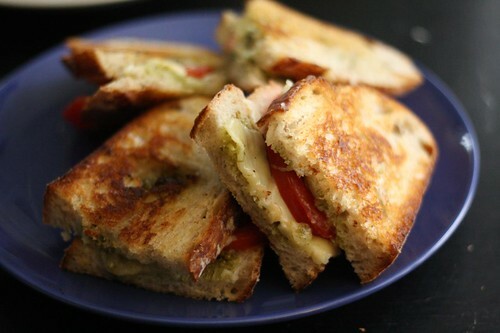 After that disappointing retail experience we returned home to turn our leftover bread and cheese into some sandwiches with some leftover basil pesto. A sudden and violent rain storm kicked in. That meant a change in plans. We had a good friend coming over with her two-year-old son. 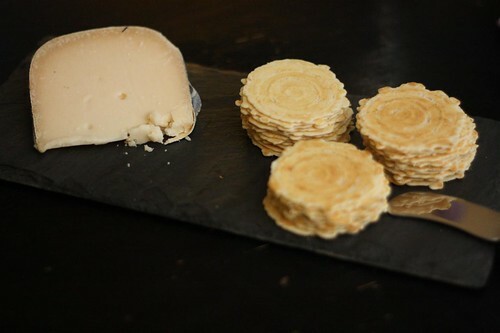 Since I pretty much know everything about what kids like I put out a kid's favorite: Midnight Moon goat cheese! For dinner I cooked some spring onions, shallots, garlic, shiitake mushrooms, and ramps with olive oil and butter. I served these over some sole that I cooked lightly in garlic, olive oil, butter, parsley, and the worst white wine on planet Earth. I had made the mistake of purchasing two bottles of this terrible French white wine because it was an incredible deal. That is if you can consider a virtually undrinkable wine a deal. I hesitated to even use this wine to cook with but it didn't completely ruin dinner. At least I don't think it did. 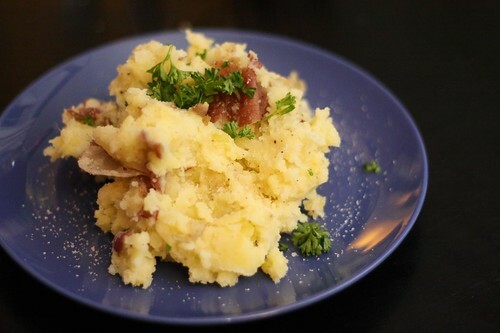 As an accompaniment I boiled some Yukon Gold and red bliss potatoes, mashed them with some butter and olive oil then sprinkled them with truffle salt. 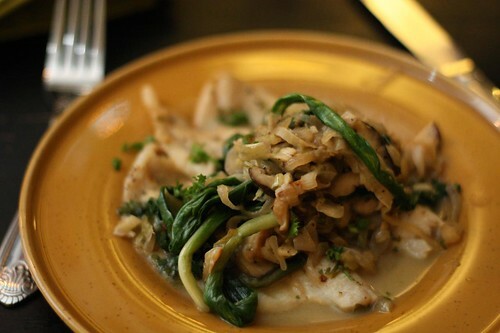 Basic wine knowledge would tell you that the best accompaniment for sole would be a Reisling or a nice white wine from the Chablis region of France. 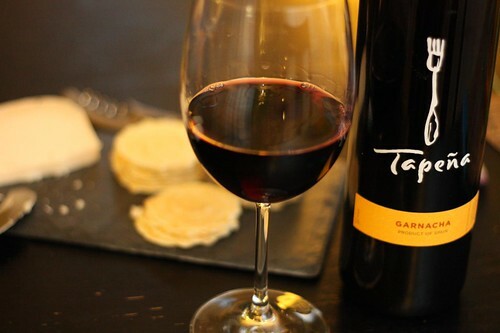 Given that the terrible white wine was the only white wine we had at all I had to go with the next closest thing to a Chablis, this Grenache from Tarpena Spanish Wines. The two-year-old also enjoyed this as an accompaniment. Kids love red wine almost as much as they like ramps. Don't worry, we only gave him two glasses of the wine. We're not barbarians. For dessert Jen made a strawberry and rhubarb pie. One of Jen's favorite things to do is purchase a bunch of rhubarb with big plans to use it then to let it stay in the fridge for two weeks until it's as limp as a wet noodle. Then often for another two weeks when it was like a mushy wet noodle that smells a little funny. This time, thanks to my tenacious reminders, Jen was able to use up this batch when it was only at the wet noodle phase (of the unsmelly variety). 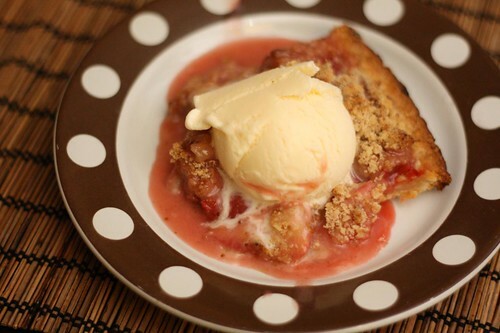 With a little vanilla ice cream the warm strawberry rhubarb pie was delightful. It probably would have been a better follow up to some grilled burgers but such is the trouble with planning a grilling event in mid April. 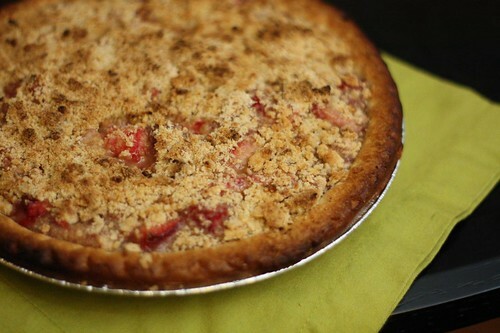 Strawberry rhubarb pie is not your traditional dessert for cold rainy nights. But you know what? Toddlers go wild for it! I'm the greatest baby chef in the world. Vegetables From The Big City!